The Perceptual Bodywork professional training course is only taught in North and Latin America at present. If you live or are travelling in that area and wish to learn, please get in touch with us and we will direct you to the relevant teaching team. This is a course in bodywork and healing. The training focuses on learning how to heal the body through developing and expanding the higher senses. 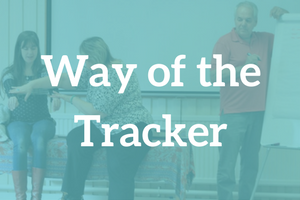 You will learn to help the body come into balance using simple and effective adjustments to the physical body and electro-magnetic energy, as well as exploring various other approaches derived from Applied Kinesiology. Within Perceptual Bodywork there is a focus on self-responsibility and total respect for every individual’s journey in life. The course itself provides the means for each person to take further steps in their own self-awareness and growth process. This is encouraged in the group setting during the training course itself. This course focuses on expanding the senses as a way to help you become more perceptive and intuitive as a body worker, and to enhance any healing techniques that you use. You will learn more about your own body and the way in which it functions and informs you about the world around you. There will also be focus on the higher senses to develop your healing abilities. In addition to the 12 primary organ-related meridians, you will learn how these Eight Ancestral Vessels play a key role in the maintenance of homeostasis in the energy system of the body as well as having a strong effect on psychic functioning and individuality. Some acupuncturists also describe them as ‘Miraculous’ owing to their ability to create therapeutic effects when all other techniques had failed. How is the course structured and taught? Each tutored course is 16-20 days in length, and is generally presented in 8-10 weekend modules spread throughout the year. However, it can be taught in different formats to suit working people or parents with children. There will be lots of training time given to the above subjects as well as plenty of opportunity for discussion on any of these points as they arise. Discussion, questions and enquiry are all encouraged both from the group as a whole, and from individual trainees. At the end of the course you will be required to take a practical assessment in order to demonstrate what you have learned and show your work to an external assessor. Rather than a test or exam, this is seen as a rite of passage marking the important step of becoming a professional practitioner able to work with general public. Expect to pay on average between £1,850 to £2,800 for this 20-day professional training course, inclusive of manuals and mentoring. Additional costs include personal sessions and assessment fees. Please see the specific information for each professional training course in our Course Calendar for full details of your investment. How do I join this course? A foundation course in kinesiology will allow you to embark on any of our professional courses. If you are wishing to participate in Perceptual Bodywork, we recommend the Touch for Health Foundation, although other kinesiology foundation courses may be acceptable. Please discuss this with directly with the course trainer. Take a look at our list of upcoming courses at the bottom of this page or in our Events and Courses Calendar. If you are interested in one of the courses listed, please contact the teacher directly for more information about course application. 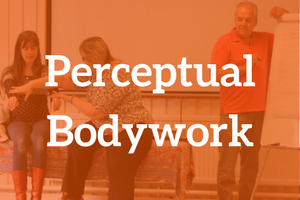 What can I do on completion of Perceptual Bodywork? 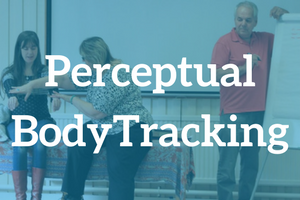 After successful completion of Perceptual Bodywork (Part One of the professional training), plus a practical assessment, you will have achieved the status of an Assessed Practitioner who is working towards full professional practitioner status. Although you are are not yet fully professionally qualified, you may work with the general public under the guidance of a Mentor. This means you can set up in private practice and start charging for your sessions. What are my next steps after completing Perceptual Bodywork? Over the next three years after completing this course you will complete Part Two of the professional training, working towards becoming a fully professional Registered Practitioner. This means completing courses in four Core Subjects, 200 clinical practice sessions, plus mentoring and personal sessions. Note: If you already have a certificate in any of the subjects above (or a significant amount of experience in a subject) then, as long as Creative Kinesiology Association requirements are fulfilled, you may not be required to complete that core subject. This can be discussed with your course tutor.